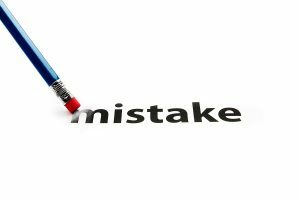 Being in the marketing industry for 19 years, we have seen our fair share of marketing mistakes. Have you ever looked at a company’s social media post and thought, “who signed off on this?” Marketing fails are 100% preventable, and we are here to help. We have chosen a few common mistakes and suggestions on how to correct them. Having no plan when it comes to your marketing efforts is the marketing mistake we see most. As our CEO, Laura DiBenedetto, told the Worcester Business Journal, “Houses are built with blueprints; businesses are built with plans. Plans make the difference.” A marketing plan defines your goals and outlines your resources. Creating this strategy could take anywhere between 40-50 hours. Not for you? Qualified marketing experts can easily facilitate the smooth creation of a plan either by taking the lead on the project, supporting it in the background, or simply doing it for you. At the end of the day, no matter who creates it – just make sure it gets done. Social Media? Yes? No? Which Channel? Social media is a useful tool when it comes to promoting your business. However, a mistake we see is companies leveraging channels that aren’t appropriate for reaching their target market. For example, your restaurant may not see as much success on LinkedIn as it would on Instagram. Do some industry research to find out which channel your target market uses the most. You can also survey your audience and ask which social media channels they like/use the most. Who are we? It’s important for you to know who you are as a company and what you stand for. You must then portray this message to your audience, this way they know exactly who they are working with. What are our goals? Outlining your company goals will help you stay on track. If you aren’t meeting your goals, you can assess why and realign your strategies. Who are we selling to? What is our ideal client profile? Thinking about who your clients are is a vital part of your marketing, allowing you to produce messaging, imagery, and advertising that appeals to them. Who are your competitors? Research your competitors, see what marketing tactics are working/not working for them. B2B or B2C? This is also a factor in how marketing strategies will appeal to your business. It is crucial for you to engage with users when they are taking the time to comment on your posts or ask questions through your social media/online review pages. Online engagement increases your chance of building a better brand reputation and this interaction builds trust, loyalty, and credibility. When people comment on your pages, they want to be heard. The interaction you have with the user can make or break your business. Once people see that they can contact you through your channels, they will be more likely to reach out again or to tell a friend to reach out to you. When it comes to marketing mistakes, you are bound to make a few. If you’re looking to dodge these mistakes before they happen, maybe it’s time to meet with Vision Advertising. We’re a full-service marketing agency, specializing in comprehensive digital marketing – from websites to social media and everything in between, to help you not only succeed but thrive. Contact us today. Amazing post! I think using Facebook ads is great way to build audience quickly and increase awareness. Thank you so much for your comment! We agree. Facebook is a great tool to connect and engage with your audience on a more personal level. This post of yours really works on how we plan on our marketing strategies. Creating more channels on social media can really help us reach and increase our target market as well as our target audience, And I also agree that engaging with customers is a truly important thing in marketing our business. this is truly a helpful blog that can help other marketing planners such as me. Great post! I think FB ads can provide us with great conversion if we focus on social media proper cause. My brother has a business and he wants to make sure that his online presence will be strong. It was explained here that he should engage with his followers and research about professionals. Furthermore, it’s recommended to hire professionals for quality social media marketing services. Getting your social media right can be tricky, but there are also unforced errors that many companies still make. Krysta, your point about restaurants needing Instagram but maybe not LinkedIn is spot on. And with as many people taking pictures of their meals nowadays, not having an Instagram platform is a big missed opportunity for a lot of restaurants to engage customers as well as get free user-generated content and distribution for your business. Rightly said, “your restaurant may not see as much success on LinkedIn as it would on Instagram”. Similarly, a B2B business can benefit more from LinkedIn than Snapchat.